In 2016 LEAF celebrates 25 years. During this momentous year there are a range of fundraising activities for which we are seeking sponsorship or in kind support. 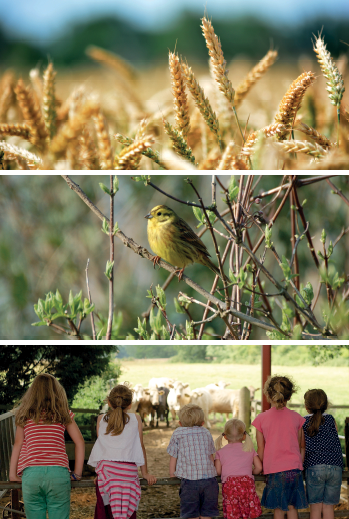 These activities include a LEAF Marque Summit, IFM Conference, Technical Day for Farmers, LEAF's Public Engagement Conference, LEAF Dinner and Auction, 5km run, Tour de LEAF and LEAF Annual Conference. Click here to visit our JustGiving page to make a donation to LEAF and support our activities. Or call 024 7641 3911 to discuss how you can support our 25th anniversary activities in 2016 or click here to download a PDF. 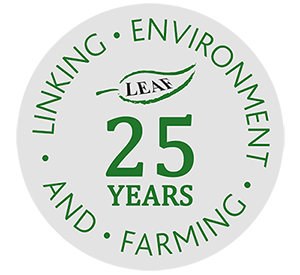 Join in the celebrations: #LEAF25 @LEAF_Farming and bookmark this page to follow updates throughout our 25th Year!